When one is travelling to a particular destination, it is a common practice to search for the shortest route possible as the time taken is less. Additionally, in certain cases, it also helps avoid heavy traffic. However, UPS has a different approach to this. The US based logistics company has devised special routes for its delivery vans by avoiding as many left turns as possible. And this has made the fleet consume 3.78 crore litre less fuel every year claims the company. UPS engineers found out that by avoiding as many left turns as possible, the vans did not get stuck in traffic, saving time and fuel consumption, The company also found the number of accidents were also brought down. 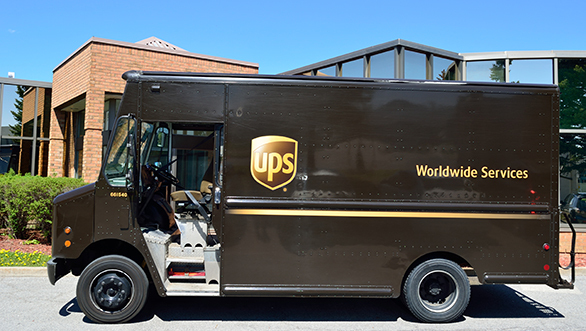 UPS is believed to serve 7.9 million customers in over 220 countries by delivering over 15 million packages per day. The company has close to 96,000 ground vehicles along with a fleet of hybrids that are used for deliveries in the local region. The solution of finding the best route was found out through the vehicle routing problem, a concept that was introduced by the american mathematical scientist George Dantzig in 1959. This involved bringing down the total distance covered by a fleet of vehicles. The maps that are used in the UPS vehicles have been designed to eliminate as many left turns as possible. This has resulted in lesser emission of carbon dioxide and also an increase in the delivery packages. The new software has also helped UPS bring down the number of trucks by 1,100. Inspite of the longer distance, it has also brought down the collective distance travelled by all its trucks by 28.5 million miles. The above rule applies to left-hand drive countries where cars are driven on the right hand side of the road. The same is also found true in the right-hand drive countries where the left turns are avoided. Considering the fact that India too has a high traffic density, the above solution can prove its benefits here as well.